On the edge of the untamed Virginia wilderness, English settlers formed the colony of Jamestown in the early 17th century. The fictional period drama Jamestown begins after the settlement has barely survived its first decade. The new Governor Yeardley has arrived, and so have 90 so-called “maids to make bride” – whom the Virginia Company hopes will help establish the outpost as a prosperous and permanent town. From the makers of Downton Abbey, the series Jamestown follows the lives of three women as they wrestle with the challenges of creating a new life in a beautiful yet forbidding land. 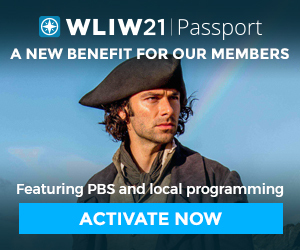 Jamestown Season One airs in a marathon on WLIW21 on Thanksgiving Day, Thursday, November 22, 4 – 10:30 p.m.; it repeats Saturday, November 24 from 10 a.m. – 6 p.m. Jamestown Season Two begins November 21 with weekly releases of new episodes, which members of WLIW21 can stream with the member benefit WLIW21 Passport. Learn more here. As three young English women make their fresh start in the New World, the snap of their long skirts and smart comebacks lend plenty of cheek to the period drama. They arrive in Jamestown, Virginia in 1619, each bound to marry the man that paid for her passage. But these newcomers prove defiant to their male counterparts, fighting for the futures they want for themselves from the get-go. The real-life Jamestown colony was founded on May 14, 1607, by an expedition commissioned by the Virginia Company of London. Only men were sent: the primary purpose of this first mission was exploratory and to determine the best use of Virginia’s resources for the company’s profit. It soon became evident that Jamestown would only turn a profit if it became a permanent settlement; for that, women were crucial, and the first arrived in 1608 with a supply ship. Here’s a look at some of the real women who contributed to the initial success and enduring legacies of Jamestown, England’s first permanent colony in America. The mail-order bride program that brought the characters in the Jamestown show to the colony is based on an actual plan organized by the treasurer of the Virginia Company in the early 1620s. In an effort to boost the female population of Jamestown and bring stability to the colony, the company organized a marital immigration program that would attract and send hundreds of women to the New World. 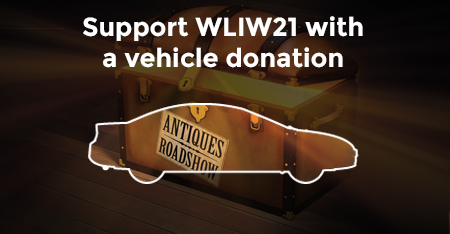 Women were offered free transportation to the colony, as well as clothing, linens, furnishings, and even land. Unlike the characters in the show, whose husbands are pre-determined, women arriving in the real Jamestown could choose theirs. Once a woman did, her spouse would reimburse the Virginia Company’s initial costs with 150 pounds of “good leaf” tobacco (which is also referenced in the series). Life in New World offered female colonists freedoms and opportunities unavailable to most English women at the time. Additionally, colonial law guaranteed widowed women were uncommonly well provided for, whereas in England, widows only received one-third of their deceased husband’s estate and had very limited freedoms. Though it’s unlikely the women in the Jamestown colony shared the defiant demeanor as their Jamestown show counterparts, independent wealth and the right to own land uniquely empowered the early wives of Jamestown to control their own lives. Among the very first English women to arrive at Jamestown were a Mrs. Forest, who was joining her husband, and her 14-year-old maid, Anne Burras. Their ship was a part of the second supply mission that landed in 1608. Three months later, the teenage bride Anne married carpenter John Laydon in what was the new colony’s first wedding. Anne and John were the proud parents of a daughter, the first child born in Jamestown to English parents. Were they aware that the very first girl born to English parents in the New World had been named Virginia – back in 1587 in Roanoke (from which all settlers had disappeared without a trace by 1590)? Anne and John named their baby Virginia, who survived, along with three younger siblings. The family eventually moved to a nearby colony, Elizabeth City, established by the Virginia Company in 1619. The Marriage of Pocahontas, 1855, John C. McRae, after Henry Brueckner. Library of Congress, Prints and Photographs Division, Washington, D.C. Thought to be born in 1597, the Native American Pocahontas of the Powhatan people was the favorite daughter of the paramount chief Powhatan, Wahunsenacawh. She would have been about the age of 11 when the first colonists arrived at Jamestown and when explorer John Smith alleges she saved him from execution. Smith’s writings portray Pocahontas as the peacemaker between the Powhatan tribes and the English, but it was her father who played that role. In 1613, as relations between the Powhatan tribes and the colony grew tense, Pocahontas was captured by Samuel Argall and held for ransom. The Powhatan immediately conceded to Argall’s demands of weapons and the return of English captives, but Pocahontas remained confined in Jamestown. During this time she became deeply depressed at being separated from her husband and family. In 1614 Pocahontas was indoctrinated into the Christian faith, took the name Rebecca, and married tobacco farmer and businessman John Rolfe. 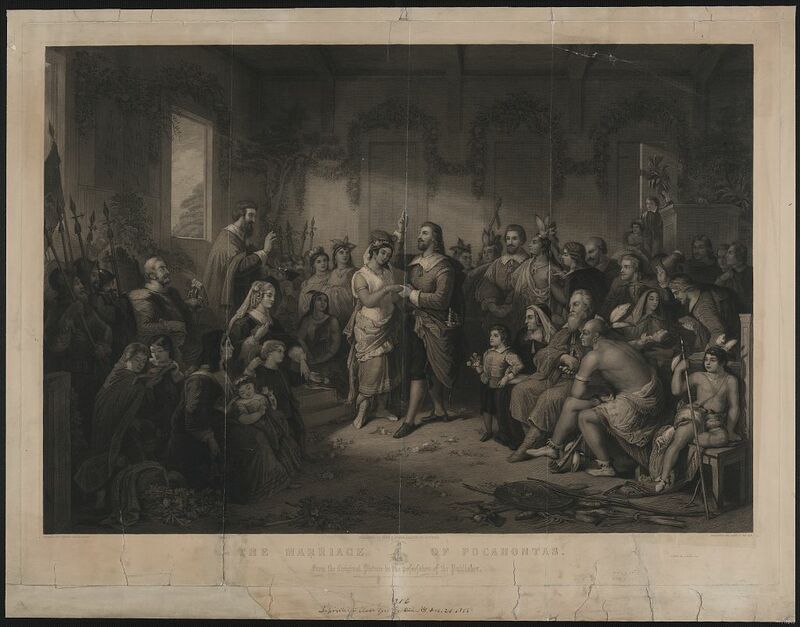 The marriage was a crucial event for both the English self-image and stability in the region, leading to a period of peace between the Powhatan tribes and Jamestown colony. In 1616, Pocahontas and John Rolfe traveled to England with their son, Thomas, in an effort to garner interest in Jamestown. Though she was not a princess in the context of her own culture, she was presented as such to the English people. Pochantas and her young son become gravely ill just as the family began a return journey to Jamestown in 1617. According to her husband, Pochantas’ last words included, “All must die. ‘Tis enough that the child liveth.” She is buried in Gravesend, England. Their son was left behind to be raised in England, but returned to live in the Jamestown area in the mid 1630s. Temperance Flowerdew is one of the real-life housewives depicted in season one of Jamestown. She is believed to have been in her 20s when she landed in Jamestown in August 1609. She had left England a married woman aboard one of nine ships that made up the third supply mission to Jamestown. Only seven of the nine vessels made it to the colony, which desperately needed supplies. A hurricane first drove the fleet’s flagship, Sea Venture, ashore on an east Bermuda beach. Another ship was lost at sea. Her journey was very difficult but worse conditions lay ahead of her. Relations with the Powhatan, with whom the colony traded with for food at the time, were severed when an injured John Smith returned to England for treatment. Stranded and without food, 90 percent of the colony Temperance had just joined would die during what is now referred to as the Starving Time. Secrets of the Dead: Jamestown’s Dark Winter revealed that colonists were so desperate to survive that they resorted to cannibalism. In May of 1610, Temperance was one of 60 surviving colonists who greeted the arrival Sea Venture, which had been presumed lost at sea. Among the crew who eventually made their way to Jamestown were John Rolfe and George Yeardley, who was captain of the bodyguard group for the new governor Sir Thomas Gates, who also arrived on the Sea Venture. (Rolfe’s wife and infant daughter had died while the Sea Venture was in Bermuda; he would eventually marry Pocahontas). By 1618, Temperance was a widow and she married George Yeardley, who was appointed Governor of Virginia that year. They had three children. For many years, Temperance assisted her husband with business and financial affairs on their plantation, the Flowerdew Hundred. As depicted in the show, the Yeardleys owned some of the first African slaves to be brought to the New World. After George Yeardley died 1627, Temperance married his successor, Governor Francis West. Temperance died the following year, in December 1628. This article by Hanna Rioseco originally appeared on THIRTEEN.org.